The new Cayenne was introduced in the spring. Its successor will be developed by Audi. MUNICH -- Audi will develop the Volkswagen Group's Porsche Cayenne, VW Touareg and Audi Q7 large SUVs in the future. Currently, Porsche has responsibility for engineering the three models, which share the same underpinnings. The decision to transfer development to Audi comes after Porsche was chosen instead of Audi to be the lead developer for large luxury sedans and sports cars within VW Group. An Audi spokesman confirmed to Automotive News Europe German press reports that Audi will be responsible for developing the platforms of large SUV model lines within VW. "This decision was made in agreement with all of the brands involved and will create synergies throughout the group to the benefit of both the brand and the customers," the spokesman said. A Porsche spokesman said: "This is not badge engineering. Porsche will be responsible for the engines and performance of the next Cayenne. It will drive like a Porsche and perform like a Porsche." Audi will also develop Porsche's new small SUV, code-named Cajun, which will share its underbody with the Audi Q5, the Porsche spokesman said. VW bosses hope the change will end a conflict over development responsibilities between the Audi and Porsche brands that has been ongoing since VW Group announced its plan to integrate Porsche as its 10th brand, according to the Financial Times Deutschland. It will be several years before an Audi-engineered Porsche Cayenne reaches showrooms. 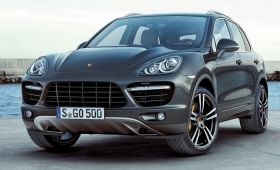 The second-generation Cayenne went on sale earlier this year. A new-generation Volkswagen Touareg was also introduced this year. The next Audi Q7 is due to go on sale in two years and its development is almost complete. VW has picked Porsche to develop the group's so-called "modular standard matrix" that will underpin the Porsche Panamera and future Bentleys. It will also be responsible for a sports car platform for front-mid- and rear-mid-engine cars for Porsche, Audi and Lamborghini. Audi will continue to have responsibility for developing VW Group's so-called "modular longitudinal matrix," which was introduced in 2007 and underpins cars such as the Audi A4, A5 and Q5. VW is merging Porsche into its brand portfolio after VW acquired 49.9 percent of Porsche's car-making unit after Porsche last year failed in a hostile takeover attempt for VW.